The costume is being worn by our 9 year old daughter. 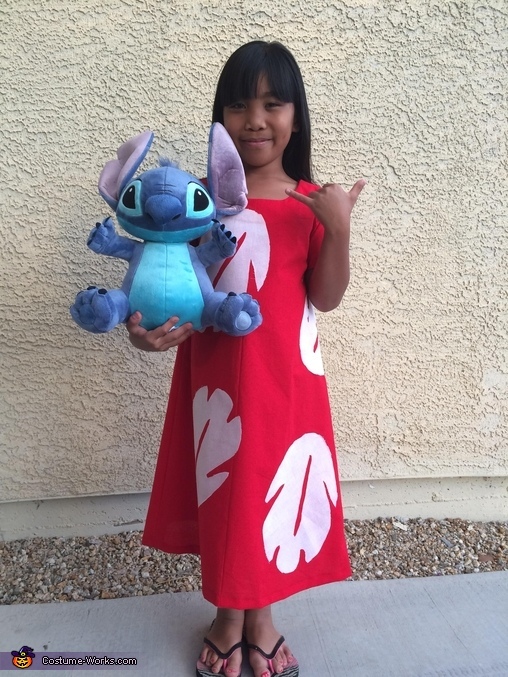 The way this costume came about was because since she has grown out her hair more and more of her friends have mentioned that she looked like Lilo from the Lilo and Stitch movie. A friend of the family did the sewing of the dress and I (mom) cut out the leaves and attached them to the dress using fabric bonding sheets.